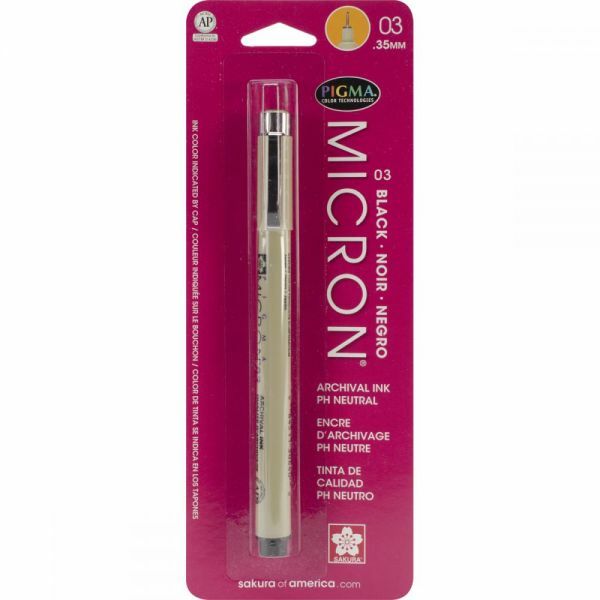 Pigma Fine Point Micron #03 Pen - SAKURA-Pigma Micron Pen: Black. Perfect for waterproof and fade proof fine lines! Sketch, ink, illustrate and Zentangle! 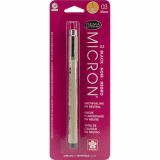 This package contains one #03 pigment pen with a .35mm tip. Conforms to ASTM D 4236. Imported.